Enda is a Fellow of Chartered Accountants Ireland and is a Licensed Insolvency Practitioner in the Republic of Ireland. He has over 10 years experience of business restructuring and insolvency in Ireland and overseas, joining McStay Luby in 2009. Enda is also a member of the Irish Tax Institute, the Irish Society of Insolvency Practitioners and INSOL Europe, where he sits on the Publications Committee. Enda manages all aspects of formal insolvency appointments and provides restructuring advice to company directors, secured creditors and legal firms. He has assisted banks with distressed loan cases and appraising the need to appoint a Receiver. He has managed numerous Receiverships, Creditors’ Voluntary Liquidations and Members’ Voluntary Liquidations and has been a lead team member on some of the most high profile Credit Union liquidations in the State, namely Newbridge Credit Union Limited and Rush Credit Union Limited. 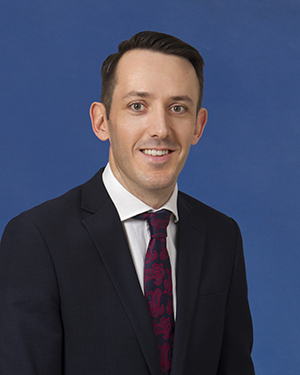 Enda also works extensively in the firm’s litigation support/forensic accounting practice, working with State bodies and leading law firms to review, assemble and de-construct financial loss claims. He has provided expert evidence to the Courts. Altobridge Limited (In Receivership) – major international IT company specialising in satellite technologies. Rush Credit Union (Court Liquidation) – process member details to facilitate Deposit Guarantee Scheme payments, oversee collection of loan repayments and sale of loan books and investigate irregularities. Newbridge Credit Union (Court Liquidation) – assist with sale of property requiring resolution of complex title issues. Tribune Newspapers PLC (In Receivership) – manage receivership of a national newspaper including marketing campaign for assets – title and intellectual property. Co-ordinate complex employee/contractor claims. Receivership of extensive property portfolio on behalf of NAMA including construction of residential units, sale of greenfield sites and optimisation of site value via amended planning permissions. Assessment of losses claimed as a result of medical / professional negligence on behalf of state organisations, insurers and legal firms. Report on actions of pension trustees in high profile DB pension scheme funding dispute. Provide reports on viability of examinership applications for secured creditors etc. Compile loss claims for plaintiffs in property disputes.